Description: Galveston Texas and Belize Central America serve as the tropical backgrounds for a story transected by the crimes of human trafficking, murder and deceit. Hunter, a Galveston native is obsessed with untangling a complex net of nefarious activity that has resulted in his spectacular downward personal spiral. He becomes a target of the criminals who want his head and is deemed expendable to the local prosecutor who wants him disconnected from his wife. 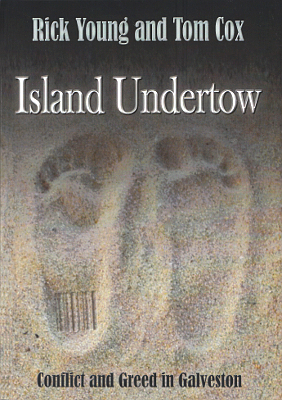 Island Undertow is the first novel in a Galveston trilogy. 214 pages. Viewed: 1,985 times since September 10, 2014.